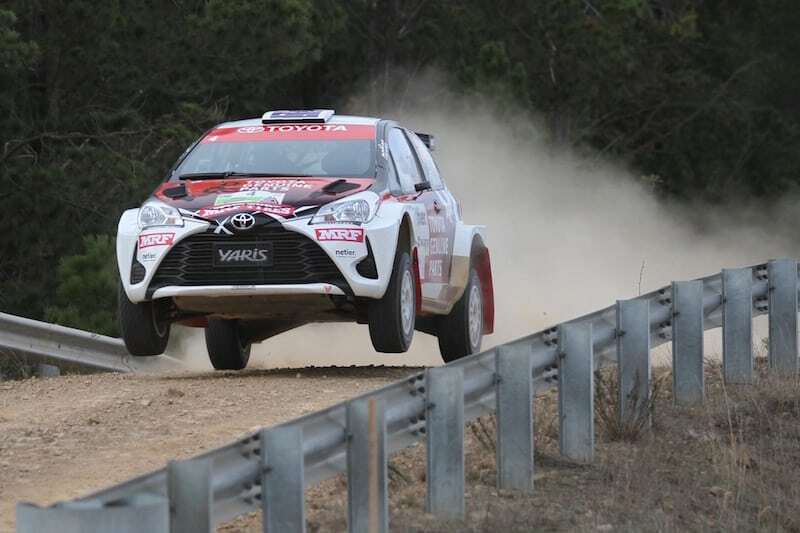 Toyota’s Harry Bates has won two of the three morning stages at the National Capital Rally this morning, showing no signs of the problems which slowed his Saturday. The Canberran competing on his home event won the 24 kilometre Sherwood and 18 kilometre Tidbinbilla tests to climb above Mike Young and Molly Taylor in the overall standings. He now sits in fifth position overall, and atop of the Heat 2 standings. Eli Evans still leads the event, despite having to stop and clear a fogged windscreen which cost him over 20 seconds on the first stage. This opened the door slightly for Steve Glenney in his Subaru WRX STI, with the gap closing to 15.2 seconds after the Sherwood stage. Evans, however, took further time out of Glenney on the following two stages to cement his lead at 26.2 seconds heading into the midday service. Driving for the Cusco squad in the APRC, New Zealand’s Mike Young dropped minutes down the leaderboard, falling well behind championship leaders Yuya Sumiyama and Atsushi Masumura. Adrian Coppin holds his overnight third position after consistent performances throughout the morning. He has a two minute buffer on the fourth placed Sumiyama, and will wish for a continued good run on some of his favourite stages. Molly Taylor and Subaru sit in sixth while the returning Fabio Frisiero continues in his Peugeot 208 AP4.